Thank you for visiting www.cottongds.com. We hope that you will find this website ("Site") helpful and informative. The following are the terms and conditions ("Terms") that apply to and govern your use of this Site. These Terms also incorporate our Privacy Statement. If you do not agree with any terms or conditions herein, or have any questions, before proceeding contact us directly at webmaster@cottonholdings.com, and we will assist you. BY CHOOSING TO ACCESS AND USE THIS SITE, YOU ARE EXPRESSLY AGREEING TO BE LEGALLY BOUND BY THESE TERMS. Exclusive Terms. Please note that these Terms exclusively govern your access and use of this Site and do not alter or affect the terms and conditions of any other agreement that you may have or enter into with Cotton Holdings, Inc., and any of its direct or indirect subsidiaries (“Cotton”) for any given product or service. The latter agreement will continue to govern that specific legal relationship with Cotton. Changes to Site. We reserve the right to make changes in the access, operation, and content of this Site at any time without notice. We also reserve the right to make changes in the Terms and the Privacy Statement, so please check before each use for changes. Copyright Notice. You acknowledge that, unless otherwise specifically designated, Cotton is the sole owner of all intellectual property rights to this Site and its contents, including but not limited to copyright protection for all content, including the design, layout, graphics, photos, format, and other visual elements of the Site. All ownership rights pertaining to the information and material contained on this Site, including but not limited to the Cotton name, logos, trademark, graphics, photos, images, audio, video, messages, files and content, are owned or have been duly licensed by Cotton, WITH ALL RIGHTS RESERVED. 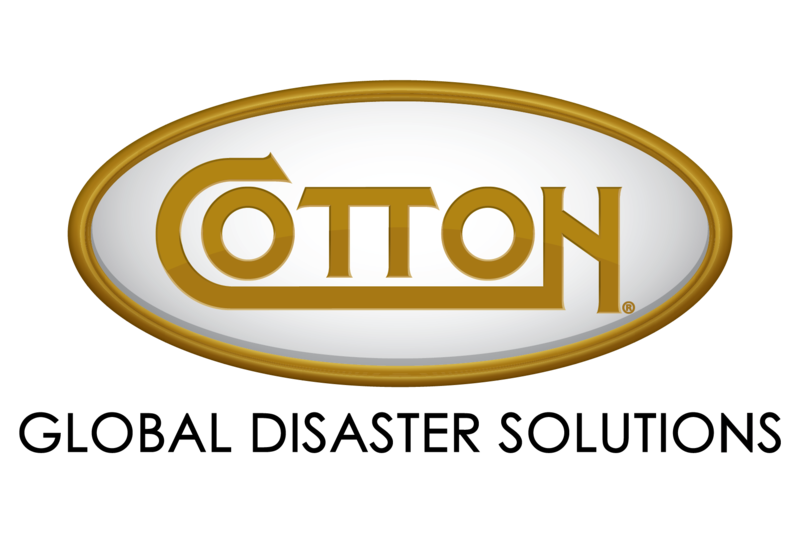 The Site pages and content may be electronically copied or printed in hard copy for internal informational, personal or non-commercial use only, provided that no modifications are made, it is not published in any media, and on each page of every internal copy, Cotton is acknowledged as the source with a copyright symbol. You are not granted any license to use the content. Any use other than that set forth above, including the non-internal reproduction, modification, copying, display or use of any copyright-protected Cotton or other logo, graphic, photo or image, without the prior written permission of Cotton, is strictly prohibited and will be enforced to the full extent of the law. Except for data and information submitted pursuant to an existing agreement with Cotton, any ideas, material, or content submitted by any user on or through this Site (including by e-mail) is, to the extent you own the intellectual property rights, the sole property of Cotton, and Cotton has no obligation of confidentiality nor are we responsible for any claims of infringement or misappropriation that may result from any submission. Personal information submitted will be treated in accordance with our Privacy Statement. Cotton makes no guarantee, representation or warranty that the content of this Site or its use will not infringe upon the intellectual property right of any person, nor that the use, transfer, reproduction, distribution, transmission, or storage of any Site content outside the United States is in compliance with the laws of any other governmental authority or jurisdiction which may be applicable. No Warranties Provided. The information on this Site is provided for general information purposes only. While Cotton strives to provide timely, accurate and complete information, you may discover some inadvertent typographical, technical, factual, or other errors or omissions in the information provided. Please bring them to our attention at webmaster@cottonholdings.com. Since such mistakes may occur, COTTON MAKES NO GUARANTEES, WARRANTIES OR REPRESENTATIONS, EXPRESS OR IMPLIED, CONCERNING THE SECURITY, TIMELINESS, RELEVANCY, SUFFICIENCY, ACCURACY, RELIABILITY, FITNESS FOR ANY PARTICULAR PURPOSE, TITLE, NON-INFRINGEMENT OR COMPLETENESS OF ANY DATA, INFORMATION, OR SERVICES FURNISHED TO YOU ON OR THROUGH THIS SITE, OR CONCERNING THE INFORMATION YOU PROVIDE TO US. WE ARE PROVIDING THE INFORMATION AND OTHER CONTENT CONTAINED HEREIN ON AN "AS IS, WHERE IS, AS AVAILABLE" BASIS, AND ALL WARRANTIES (EXPRESS OR IMPLIED) ARE DISCLAIMED, INCLUDING BUT NOT LIMITED TO IMPLIED WARRANTIES OF MERCHANTABILITY, FITNESS FOR A PARTICULAR PURPOSE, AND NON-INFRINGEMENT. User Conduct. For the convenience of our users, some areas on this Site may allow for interactive communication, some of which may be conducted in "real time". You agree not to post any content which is or may be, in whole or in part: false, unlawful, criminal, fraudulent, misleading, infringing, libelous, slanderous, defamatory, profane, racist, sexist, threatening, inflammatory, obscene, invasive of personal or privacy rights, advertising, promoting or soliciting for commercial purposes, containing any known viruses or bugs, or which is otherwise harmful, offensive, inappropriate, or unprofessional. Cotton has no obligation to monitor, screen, filter or edit any information, communication, or content that is directly posted by or shared by users on the Site, however we may at our discretion from time to time monitor use of the Site, and we reserve the right to delete or edit any objectionable content posted or submitted by authorized users, terminate the user's access to the Site, deny future access, or take any other action we deem appropriate under the circumstances. Please report any such violations to us at webmaster@cottonholdings.com. Cotton will handle any personally identifiable data or information posted by you in accordance with our Privacy Statement. Any third party liability or usage which may arise from your posting will be solely at your own risk. Information obtained through monitoring our Site may also be used for duly authorized law enforcement investigations. We also reserve the right to identify and investigate inquiries to the extent required to comply with applicable laws and regulations. Cotton will have no liability for any content posted by users on any Site. Compliance with all Laws. This Site is operated from servers located in Katy, Texas. You agree that your use of this Site will be in compliance with all relevant and applicable laws and regulations. IT IS YOUR OBLIGATION TO VERIFY AND COMPLY WITH ALL APPLICABLE LAWS AND REGULATIONS OF THE UNITED STATES PERTAINING TO ANY POTENTIAL ACCESS, TRANSFER AND USE OF ANY INFORMATION HEREIN WHICH MAY BE DEEMED TO BE "CONTROLLED" AS DEFINED BY LAW. This Site may not be accessed or used by any national of certain countries or groups against which the United States has instituted sanctions, Specially Designated Nationals, and other restricted persons who are listed on the Denied Parties list. Due to technical uncertainties preventing verification of the identity and ultimate point of access by any person attempting to access or use the Site, your access of the Site constitutes your express representation that (1) the person attempting access thereunder is not a national of any such sanctioned country or group or a Specially Designated National, and (2) is not included on such Denied Parties list, and (3) that, if an Authorized User, you have not disclosed or provided such password and user ID to any such person for use under your registration. Users shall be fully liable and subject to prosecution to the full extent of the law for any violations of this paragraph, and SUCH USER HEREBY AGREES TO DEFEND, INDEMNIFY AND HOLD COTTON HARMLESS FROM AND AGAINST ANY AND ALL SUCH DAMAGES AND LIABILITY. Site Security. We cannot make any representation or warranty that the content, information, or links in this Site are secure and free of data-processing errors, technical glitches, operational problems, interruptions, errors, bugs, worms, viruses, unauthorized third party access, or any other harmful elements. YOU REMAIN SOLELY RESPONSIBLE FOR THE SECURITY AND PROTECTION OF YOUR SYSTEMS WHEN USING THIS SITE. Unauthorized attempts to upload, insert, or change any information or image on this Site or cause harm are strictly prohibited and may be punishable to the full extent of the law, including the Computer Fraud and Abuse Act and the National Information Infrastructure Protection Act. Outside Links. This Site may contain direct links or hyperlinks to websites that are maintained by third parties. When clicking on such a link, you are leaving our Site. Therefore, Cotton has no control over, does not endorse, and is not liable for, the quality, operation, reliability, compliance with laws, ethics, business practices, nor content of such third party websites, or for any product or service advertised or provided therein. Any transactions with such third parties, including provision of your personal information, are strictly at your own risk. We expressly disclaim all liability arising from your access of and for the content contained within or through any such third party website. Access Outside United States. If you are accessing this Site from outside the United States, you are doing so at your own risk, and you remain fully responsible and liable for familiarity and compliance with these Terms as well as with the laws, regulations, directives, codes, and rules of the United States, as well those of the jurisdiction from which you are accessing the Site, and any other applicable jurisdiction which may be involved in the access, transmission, routing, receipt, disclosure, storage or use of information on this Site, or any commercial transactions conducted on or through this Site. Privacy. The use of your personal information given to us during your visit to our Site is governed by the Cotton Privacy Statement, which is posted on this Site and incorporated into these Terms. Termination. Notwithstanding any of these Terms, Cotton reserves the right, without notice and in its sole discretion, to terminate your license to use this Site and to block or prevent future access to and use of this Site. LIMITATION OF LIABILITY AND INDEMNIFICATION. YOU AGREE THAT COTTON AND ITS AFFILIATES AND DIVISIONS, CUSTOMERS, PARTNERS, AND THEIR RESPECTIVE EMPLOYEES, OFFICERS, DIRECTORS, CONTRACTORS, VENDORS, SUPPLIERS, LICENSORS, ASSIGNEES, SUCCESSORS, INSURERS AND AGENTS, ARE NOT LIABLE IN ANY RESPECT FOR ANY DAMAGES (INCLUDING FOR ANY SPECIAL, INDIRECT, ECONOMIC, EXEMPLARY, INCIDENTAL OR CONSEQUENTIAL DAMAGES) OR LOSS OF ANY NATURE WHICH MAY OCCUR AS A RESULT OF YOUR ACCESS AND USE OF THIS SITE. YOU AGREE TO DEFEND, INDEMNIFY AND HOLD HARMLESS COTTON AND ITS AFFILIATES AND DIVISIONS, ITS CUSTOMERS AND JOINT VENTURE PARTNERS, AND THEIR RESPECTIVE EMPLOYEES, OFFICERS, DIRECTORS, CONTRACTORS, VENDORS, ASSIGNEES, AND AGENTS, FOR ANY COSTS, CLAIMS, DAMAGES, LOSSES, OR OTHER LIABILITIES ARISING FROM YOUR USE OF THE SITE IN BREACH OF THESE TERMS OR IN VIOLATION OF LAW. SHOULD THE ABOVE PROVISIONS BE HELD TO BE UNENFORCEABLE FOR ANY REASON, IN WHOLE OR IN PART, COTTON'S AGGREGATE LIABILITY TO YOU FOR ANY REASON CONNECTED TO YOUR USE OF THIS SITE WILL IN NO EVENT EXCEED THE SUM OF $100.00. ALL OTHER TERMS AND CONDITIONS HEREIN WILL REMAIN IN EFFECT IN THE EVENT ANY PROVISION SHOULD BE FOUND UNENFORCEABLE. Applicable Law and Dispute Resolution. You agree that these Terms will be interpreted under the laws of the State of Texas, regardless of any conflicts of laws rules, and regardless of the laws of any other jurisdiction which may be asserted. Any dispute or claim which you may have ("Claim") arising from your access or use of the Site shall be first submitted in writing to Cotton within one month (30 days) from the occurrence of the event upon which such Claim is alleged to be based, or such Claim shall be deemed waived. Any Claim which has been properly submitted to Cotton which has not been resolved within a reasonable period time not to exceed six (6) months may be submitted to binding arbitration as an exclusive alternative to litigation. YOU EXPRESSLY WAIVE ANY RIGHT TO BRING ANY LITIGATION IN ANY JURISDICTION AGAINST COTTON BASED ON YOUR ACCESS OR USE OF THIS SITE OR UNDER THESE TERMS. Any arbitration will be administered by the American Arbitration Association in Houston, Texas, in accordance with its applicable commercial rules and procedures. Any arbitral award will specifically exclude any special, indirect, incidental, exemplary, punitive, or consequential damages.